Freedom Camping - Keep South Canterbury Clean! The impact of freedom camping on the environment, as well as safety concerns, mean that Tourism New Zealand does not recommend freedom camping in New Zealand. In the interests of the environment, South Canterbury Chamber of Commerce supports this stance and does not encourage freedom camping outside of limited permitted areas. We recommend utilising one of the many holiday parks in the district as the most environmentally friendly way to enjoy your camping experience. Many of the holiday parks in South Canterbury region are rurally based and all offer park-like grounds, providing a scenic setting where children can run and play in a clean, safe environment. Our South Canterbury Holiday Parks offer a range of accommodation options; browse our Central South Island Holiday Parks listings for ideas on where to camp. On board camper van toilets can only be legally emptied from motorhomes into Dump Stations, which can be found in South Island Holiday Parks around the district. If you really must freedom camp, please ensure you leave the environment clean of litter and waste so that others can enjoy it. 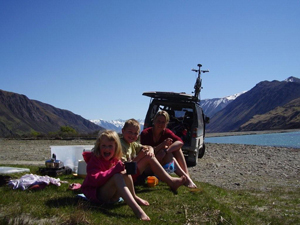 For more information on the "Do's & Don'ts" of Freedom Camping in New Zealand, visit www.camping.org.nz and ask for guidance at the one of our Visitor Centres. Please play your part in keeping beautiful South Canterbury clean and free from litter and camping waste, so that future generations can enjoy our environment too. For a full selection of South Canterbury NZ accommodation options, click here.